Welcome to the tree lined brick streets and old town charm and architecture of historic downtown Orlando. This home is walking distance to the renouned Lake Highland Preparatory School/Charles Clayton Campus and some of the finest restaurants and night life central Florida has to offer. The home has been owned and lovingly maintained by the same owner since 2002. Features include refinished original hardwood floors, updated kitchen, master bathroom with hydro jet garden tub and walk in shower, double pane tilt in windows and updated electrical and plumbing. The secluded rear porch and yard is like a tropical oasis with palms, bamboo trees, and beautiful landscaping adding to the privacy and serenity. See this one today before it's gone. Lot Size: 0.17 Acres / 7574 Sq. Ft. Directions:E. Colonial to north on Mills to east on Park Lake St.
SchoolsClick map icons below to view information for schools near 1235 Park Lake Street Orlando, FL 32803. MFRMLS data last updated at April 19, 2019 11:44:33 AM PST. Home for sale at 1235 Park Lake Street Orlando, FL 32803. Description: The home at 1235 Park Lake Street Orlando, FL 32803 with the MLS Number O5735237 is currently listed at $286,000 and has been on the Orlando market for 211 days. 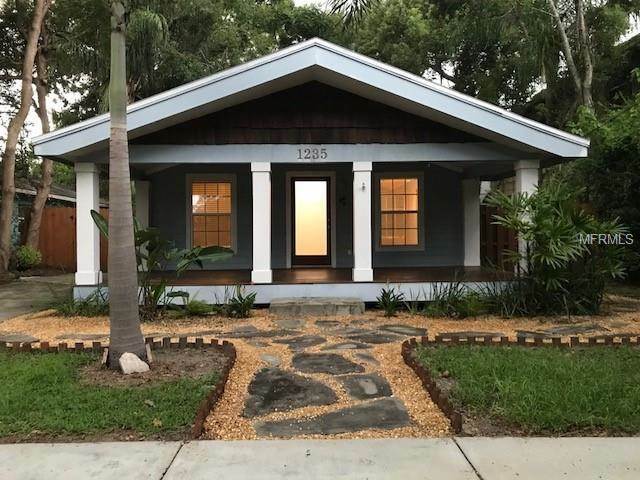 You are viewing the MLS property details of the home for sale at 1235 Park Lake Street Orlando, FL 32803, which is located in the Highland Grove 2nd Add subdivision, includes 2 bedrooms and 1 bathrooms, and has approximately 1128 sq.ft. of living area.